These pages are for all my little Comets! 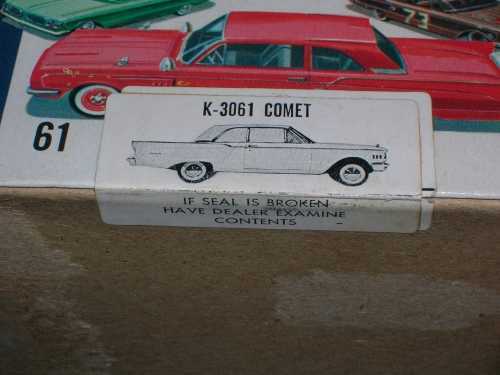 This is a 1961 Comet 1/24 scale model in it's origional sealed box. You could build this model three different ways. Stock, Custom and Competition. 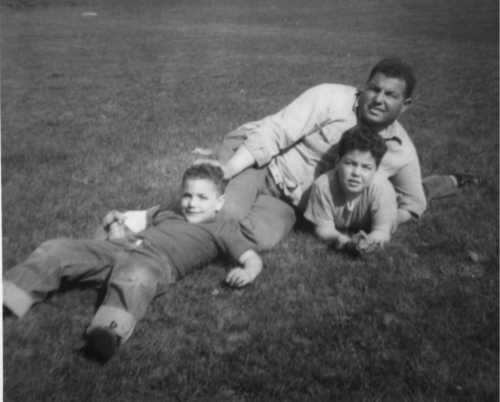 I have scanned sides of the box on the left so you can see what each version looks like. I also found the origional instruction sheet for this model. I assume that there is also one in the sealed box. 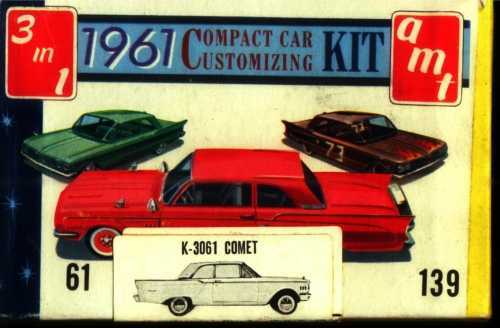 This is a 1961 Comet 1/24 scale model. I believe it is an AMT but I am not sure because it was already built when I bought it. I was able to take it apart and paint it to match my Comet as far as color. I actually used touch up paint for my car to paint the body. I used a silver Sharpie to do the trim and dash gauges and radio. 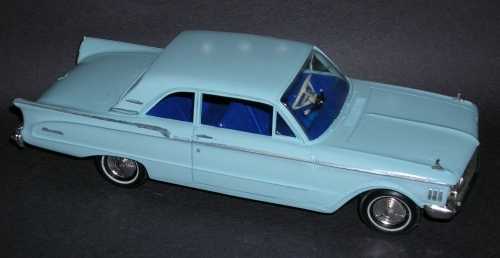 This is a 1961 Comet 1/86 Anguplas scale model. This is a cool little Comet toy. Made in Spain by Anguplas it is listed as part of a group of little cars, building and things to make a miniture world. 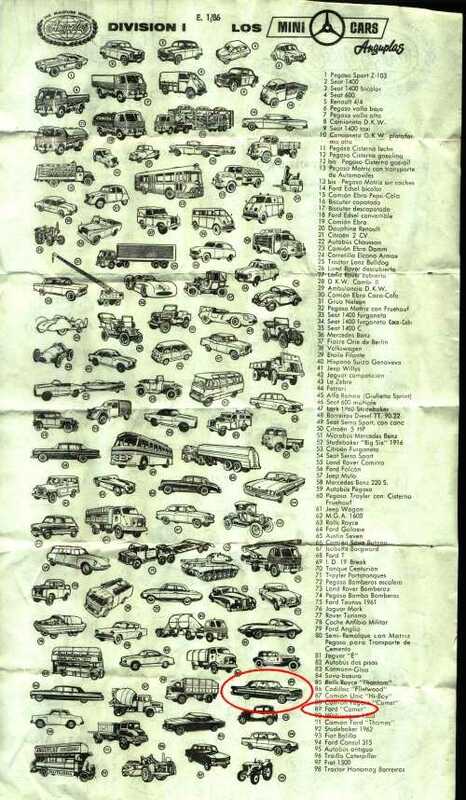 The flyer that came with the toy has a list of 98 cars and trucks of which the Comet is #89. It came in a nice little box and even has the origional price of 29 cents, on sale for 18 cents. Best part, it is the exact same color of my 61 Comet. 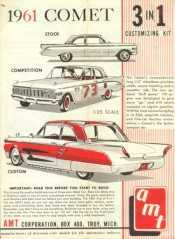 It does not have the date but by the three black bars on the front fenders, I know it is a 61. They did not get everthing exactly right however. They are calling it a FORD Comet!! I use this car and the EKO car below in a little diorama with a Texaco gas station. 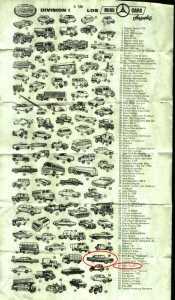 Comet 1/86 Scale Minicars X-89 Model 62??? This is a cool little HO scale Comet that is miss-marked as a 62. 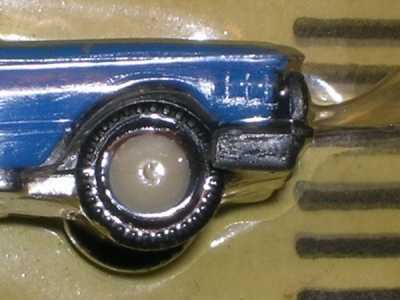 By the rear lights and the three chevrons on the front fender as shown in the close up below, this is definitely a 61! This little car was made in Spain and as in all European mention of the Comet it is called a Ford and not a Mercury. Since the card it is on says it was printed in the USA, I suspect they were re-packaged and miss-labeled 62. It is very much like the EKO models below. 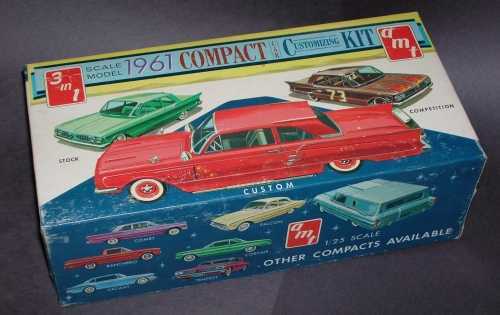 These are 1961 Comet 1/86 scale toy cars. 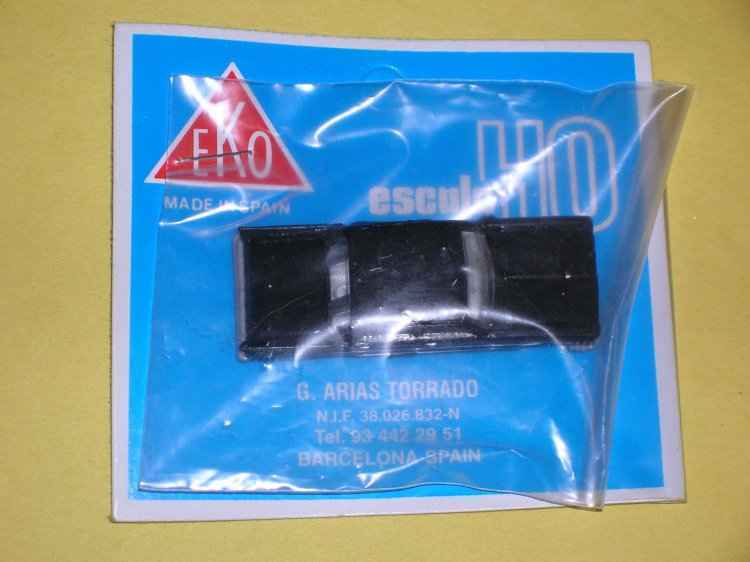 These toys were made by EKO for use in model railroad setups. 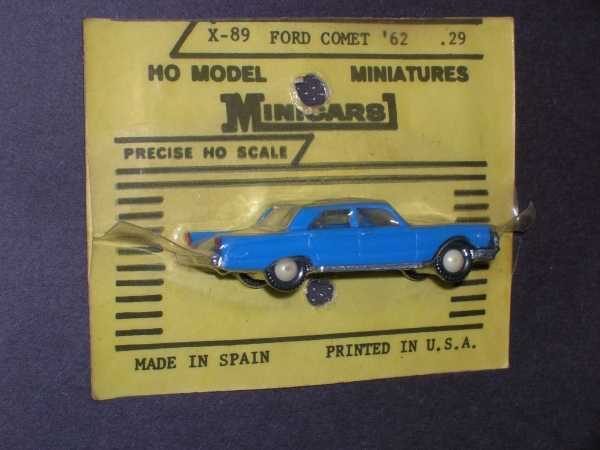 They were made in Spain and say Ford Comet on the bottom. I know they are 61 because they have 3 chevrons on the front fenders. 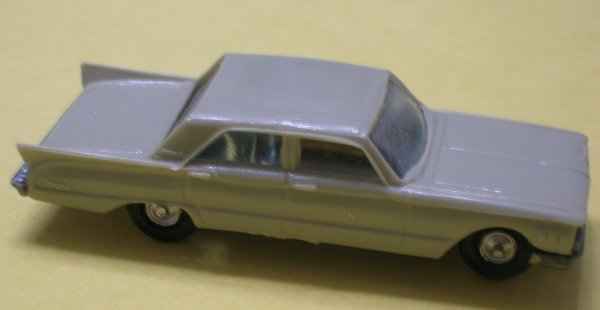 These are 1961 Comet 1/86 Cereal Prizes. 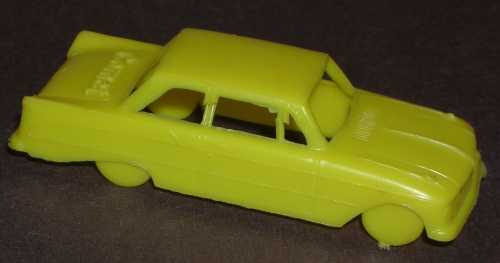 These little toys were a cereal box prize. 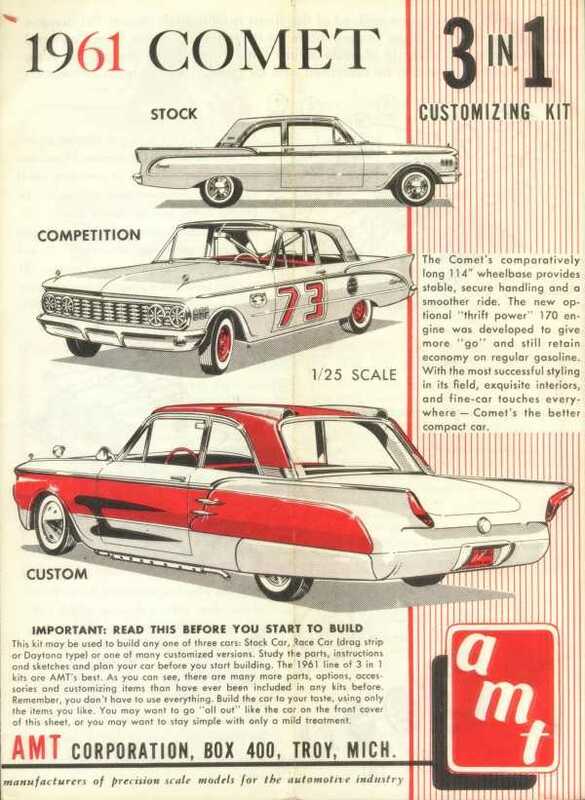 They were made by MPC and say Comet on the trunk and Ford on the bottom. I am not sure the year but it is either a 60 or 61 by the "Cat Eyes" rear lights!.